Ali Alnaqbi says he is trying to foster more ties between his territory and Asia, including working with AsBAA. 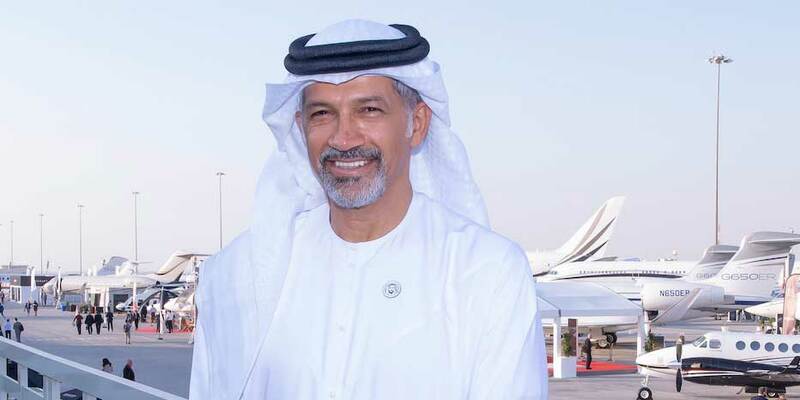 The top official from the Middle East and North Africa Business Aviation Association (MEBAA) is attending ABACE, as the body representing the industry in the region seeks to improve links to China and Asia in general. Official information provided to AIN shows that MEBAA has 10 Asian members. “We do have few Asian members,” Alnaqbi said. “I am hoping to promote MEBAA as a show, and as an association [there]. We see lately a lot of interest in our region coming from Asia, and not only from China. South Korea has become very active. Its representatives have approached me to set up operations in the UAE. Alnaqbi thought it unlikely that many Middle East-based companies would be looking to set up in Asia in the near future, although he did concede that a number of major players had entered the market. MENA-based companies will also set up a pavilion at ABACE. “This is what we are trying to do,” Alnaqbi said. “A number of businesses are going. There is a lot of business going on, and a lot of companies coming from Asia to here. I do not see our companies going there yet, but in the future it might happen. Jetex has a relationship with HondaJet, representing it in the MENA region." In terms of country-to-country relationships, he said trade in its many aspects was increasing between China and South Korea on the one hand, and the Middle East and North Africa on the other.